Did you know that more than 80% of dogs and 70% of cats over three years old have some form of dental disease? Just as you look after your teeth to prevent plaque and dental disease, you also have to care for your pet's teeth too. 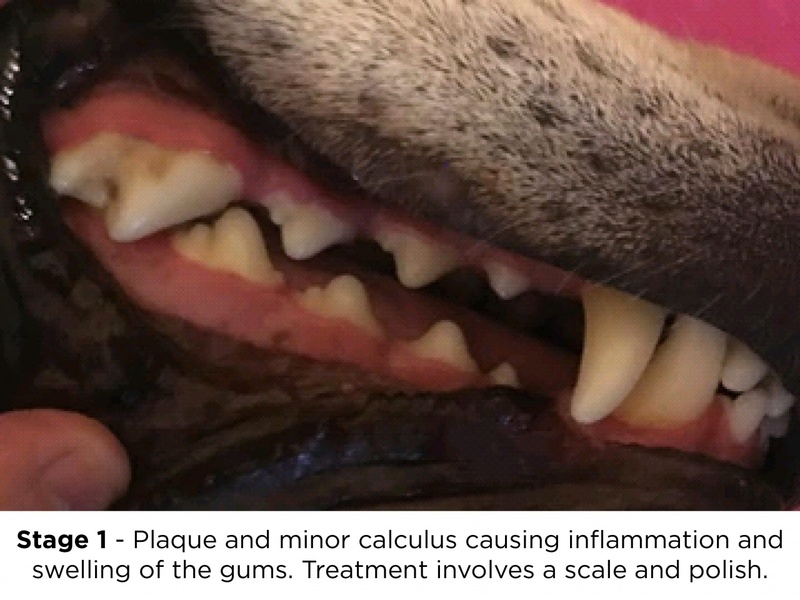 Maintaining healthy teeth and gums for your pet is important, if left untreated it can result in some serious health problems such as heart, kidney and liver disease. But don’t worry, we’re here to help! By making some changes and monitoring your best friend, we can help reduce the risk of dental disease. 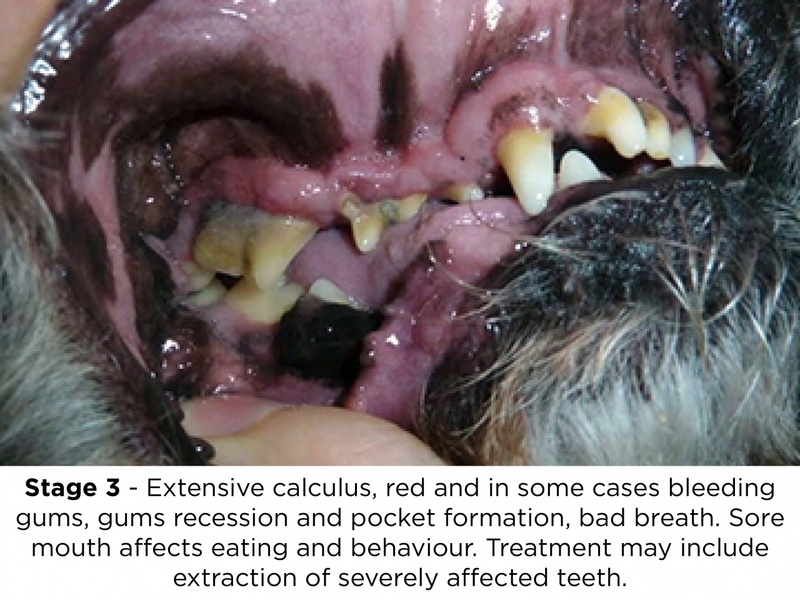 6 Signs - How Do You Know If Your Pet Has Dental Disease? Dental disease or periodontal disease is caused by bacterial infection that builds up in a substance called plaque. Plaque is made up of food particles and saliva. It readily sticks to the tooth surface above and below the gum line and if not removed will calcify into tartar (or calculus). Over time the bacterial infection in tartar causes irreversible changes to occur. 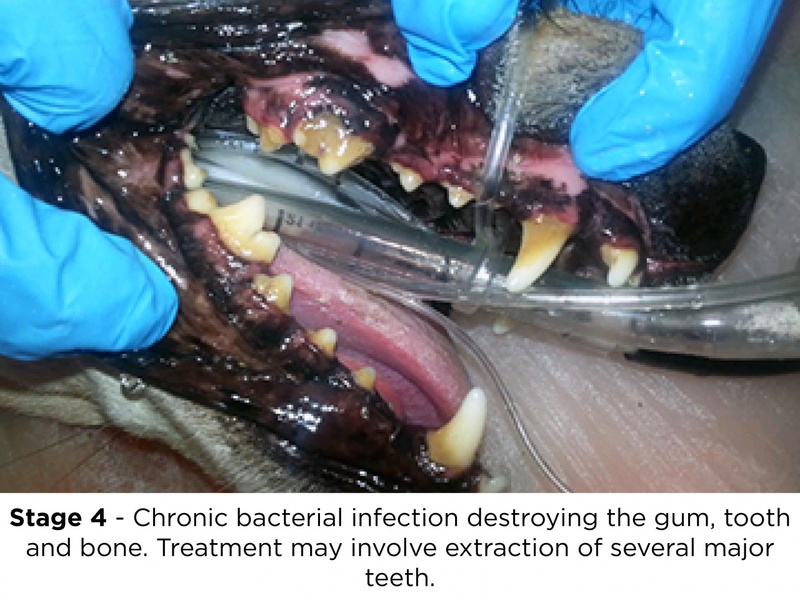 These include the destruction of supportive tissues and bone, resulting in red gums bad breath and loosening of teeth. 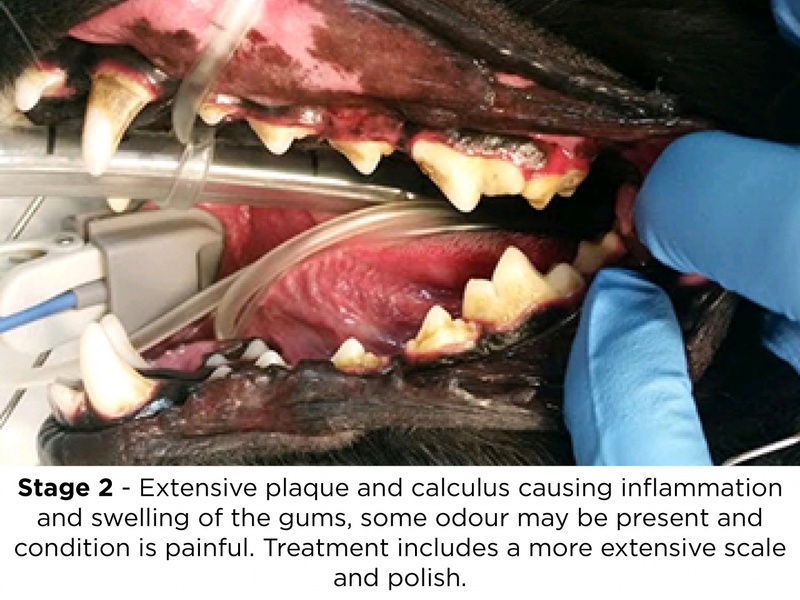 Dental disease is not only painful and uncomfortable for pets, the procedure to clean and remove teeth becomes more complicated and often more costly to treat the longer it is left untreated. What Should I Do If My Pet Has Dental Disease? 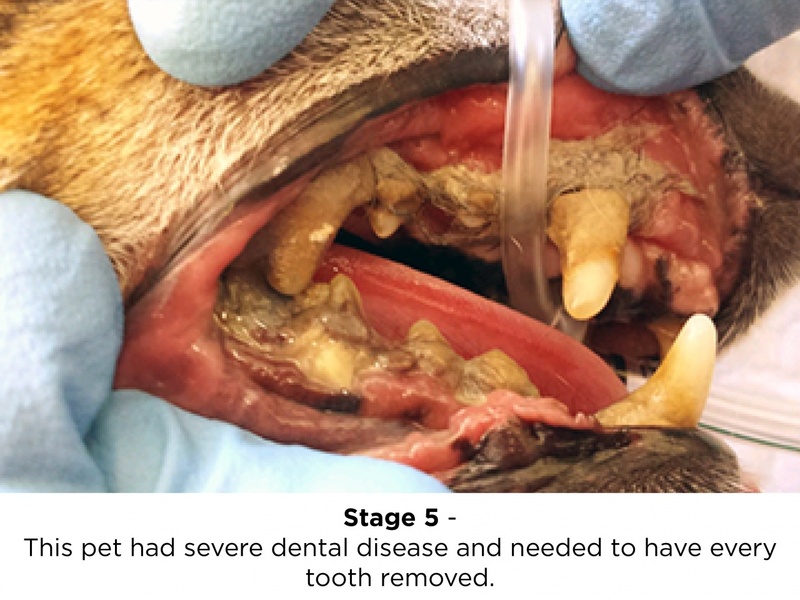 If you think your pet is showing the signs of dental disease it is important that treatment is started immediately before any irreversible changes occur. Just contact one of our healthcare team members and make an appointment with your veterinarian for a dental check-up or book a free dental health check with one of our qualified nurses. Treating gum disease involves thorough scaling and flushing to remove tartar, plaque and infection from above and below the gum line. The teeth are then polished to help reduce future plaque build up. Any loose or badly infected teeth will be removed. Antibiotics may be required for particularly severe cases. These procedures are carried out under a general anaesthetic. Local anaesthetic and pain relief are given when required. Just like your own dentist we use specialised dental instruments including ultrasonic scaler, hand curettes, air driven drills and polishers. When required we also do dental restorations and endodontic procedures to save important teeth. Remember, our pets can’t tell us when it aches! We understand it is easy to put off simple procedures like a dental descale and polish until next time. However, it is more difficult for cats and dogs to tell us when they have a toothache. Identifying visible changes and intervening at an early stage will help us to prevent lengthy and sometimes costly procedures and to ensure your pet is as comfortable as possible. Read more about the progression of dental disease here. How Do You Prevent Dental Disease In Pets? Good oral hygiene and plaque control will help prevent dental disease. Encouraging your pet to chew on appropriate toys and chews will help stimulate saliva secretion, which will help combat plaque. Safe chewing options include Greenies, which are low in fat and easily digestible. Water additives such as Healthy Mouth will soften plaque, making it easier to be removed, and will also decrease the amount of bacteria in your pet's mouth. Using a special veterinary recommended diet such as Royal Canin Dental (available at your local Vetwest) will also help reduce the amount of plaque build-up on your pet's teeth. The unique shape and size of these biscuits encourages chewing and has a brushing effect on the teeth. If your pet doesn't enjoy chewing, then daily brushing is the best option. Remember dental disease is caused by plaque build-up & infection. If you help to remove the plaque from your pet's teeth, you greatly improve the chances of a healthy mouth. What if my pet needs a tooth removed? Where possible we always try to save teeth. It is in our pet's best interests to have a full dentition. However, if a tooth is too infected or loose or is going to be a source of future problems then we may need to remove it. Cats and dogs do very well after teeth have been extracted. In extreme cases, this can mean all of the teeth. Remember it is much better to have no tooth and a healthy gum than a retained tooth and ongoing infection. Why choose Vetwest to care for your pet’s teeth? A dental procedure is a common yet involved procedure for a dog, cat or small animal. Unlike humans, pets require an anaesthetic for a professional and safe procedure. When we recommend a dental scale and polish, dental prophylaxis or more complex procedures like dental extractions, our highly trained and caring pet healthcare team are here to offer your pet the care they deserve. Advanced pain relief regimes - Your pet can't tell us how they are feeling so pain relief management is a priority in our approach to treatment. Advanced regimes also mean your pet heals quickly and enjoys a painless recovery, particularly after surgery. Provide optimal patient monitoring - so you can be reassured your pet will be safe as they will be continually monitored by a trained nurse and/or veterinarian. This also means your pet will not sit in soiled bedding, medications are given on time, feeding regimes are maintained and your pet is carefully monitored before, during and after any surgery or procedure. We also use specialised equipment to monitor your pet during procedures; checking oxygen levels, heart rate and respiratory rate as a minimum standard. Sterile surgery - just like a human hospital we autoclave all instruments and gowns before every procedure to reduce the risks of sterility related complications to your pet. Approach to anaesthetic - We tailor individual anaesthetic programs based on a pet's age, breed, and current health status both to reduce the risks of anaesthetic and promote faster recovery. Free dental checks - We believe the health of your pet's mouth is a top priority and that's why we offer free dental health checks with our qualified nurses to help make it easier for you to care for your pet's dental health.